Environment Foundation of Turkey (EFT) ‬is‬ ‬a ‬non-governmental, ‬non-profit ‬and ‬volunteer ‬organization ‬which ‬‬was founded on 1 February 1978. Our aim is to work in order to provide everybody a cleaner, more organized, healthier and favourable environment to live in. We try to achieve our aim through doing research on environmental protection and development and organizing scientific meetings. Since our foundation in 1978, we have been working continuously. We believe a development style that does not ignore environmental values is, as well, a development style that would support peace and happiness. We all have a cleaner, more organized, more beautiful living environment... there's a lot we need to do for it. We, as a volunteer organization with limited resources, we take service will help to reach this goal as much as we can. Fully 40 years research, making publications; meetings, organize conferences. Since its establishment in 1978 we Year, our work continues uninterrupted. Environment Foundation of Turkey (EFT) is a ‬non-governmental, ‬non-profit ‬ ‬and ‬ ‬volunteer ‬ ‬organization carrying out its work in accordance with the principles of the Civil Code of Turkey. 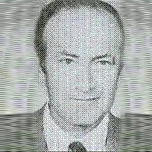 Founded by Dr. Cevdet Aykan, Serbülent Bingöl, Muslih Fer, Ertuğrul Soysal, Prof. Dr. Necmi Sönmez, Engin Ural and Altan Ünver on 1 February 1978, currently EFT is governed by the Board of Trustees which consists 5 members; Prof. Dr. Mehmet Somuncu (President), Prof. Dr. M. Hakan Yiğitbaşıoğlu (Secretary General), Özlem Yonar Coşkunsu, Dr. Işıl Kaymaz and Assoc.Prof.Dr. 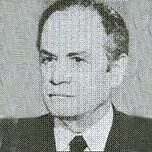 Selim Latif Sanin. By the decision of the Council of ministers of Turkey (Date:31 March 1983, Decree Nr. 83/6292), EFT has been granted with permission for international cooperation activities. While EFT’s services keep going as research, publication and raising public awareness, published books by the foundation, which cover almost every aspect of the environment, constitute the groundwork of Turkish literature on environment. EFT has published a total of 191 books so far. 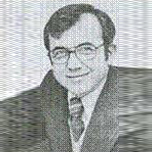 In 1978, when the term “environment” was poorly understood, EFT proposed establishment of the Prime Ministry Undersecretariat of Environment to enable inclusion of the concept of environment within the body of the Government, and demonstrated a successful example of its efforts on “constructive influence on public and the government”. After two years of its foundation, EFT started to establish the roots for the branch of environmental law which was little known in the country, published books on the subject and showed efforts on promoting and developing this new branch of law. EFT, then focused on involvement of the environment in the Constitution and preparing an environmental law draft. As a result of its efforts from 1980 to 1982, the foundation played a vital role in the inclusion of Article 56 on the environment in the Constitution and enactment of Environment Law numbered 2872 in 1983. This is the very brief story of the 41 years of the Environment Foundation of Turkey, which was established on 1 February 1978. An objective assessment of the past 41 years exhibits that the Foundation has provided many diverse services and has assumed a leading role in various fields. Recalling the fact that the concept of environment was barely known and discussed and that there were not any publications concerning the issue and above all, legal arrangements did not exist 41 years ago, the significance of the point reached today may be grasped easily. EFT, having rather staged public highlighting and awareness efforts in the first years following its foundation, later focused on the technical issues, which were ignored by the majority of people. Briefly listing the initial steps taken by the Environment Foundation of Turkey may make it possible to recall and assess the developments concerning the environment in Turkey to an extent. EFT, prior to and in the very first days of its foundation, asserted the necessity for the constitution of a department concerning environment within the body of the Government, which should be an undersecretariat subordinated to the Prime Ministry. This assertion found approval and the Undersecretariat of Environment under the Prime Ministry was established on 12 August 1978. Thus, an NGO became an initiator in the establishment of a unit within the body of the Government, which would dwell on environmental issues. EFT pointed out, since the first day of its foundation, by general statements, the necessity for the execution of legal arrangements and that a new branch of law, called Environment Law would and should be developed. Through articles and speeches published in newspapers and magazines, it tried to bring the issue onto the agenda of the country. EFT organized a graphics competition in April. Entries found worthy of mention and those receiving awards were exhibited in the United Nations Building in Ankara. In this way, the Foundation, which had been endeavouring to establish “World Environment Day” in the public’s awareness just a year earlier in 1978, took one more successful step. EFT published a Picture book “Noisy Ali” to give a message about the environment to children. 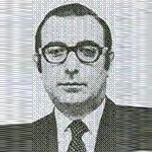 EFT, following its general statements pertaining to the Environment Law, made its first clear and definite rise in October 1980, and published the brochure proposing a provision to be entered in the new constitution, while the same suggestion published with an article in the “Milliyet” newspaper of 24 October 1980, was announced to a wider public. Accordingly, Article 56 of the 1982 Constitution was included based on the text prepared by the Foundation. EFT submitted to concerned authorities the draft it prepared in conclusion of a comparative law study it initiated again in the autumn of 1980. This draft, at a commission including the Foundation, after some revisions, came into force on 11 August 1983 as Environment Law numbered 2872. In this manner the Foundation had been able to obtain a successful result in its work on environmental law it had started in the Fall of 1980. EFT, publishing the information acquired during the preparatory stage of the draft law, introduced the first books into the Turkish environmental law literature, which were depleted within a short period of time after their publication. EFT, with an inclination toward inventorial work mentioned in the Fourth Five-Year Development Plan, in conclusion of a study which took over a year by a team of 33, by publishing the Environmental Profile of Turkey in 1981 became the first NGO in the world, which performed such a study. In the following years seven more editions were published. EFT became the first institution to focus on the relation between rapid population growth and environmental problems. The Foundation, which organized the Population and Environment Conference in 1982, held these conferences four more times, published books and prepared an educative film regarding this issue. The film was broadcasted in 1987 three times on the “TRT” Television Channel. Copies of it prepared later were sent to all provincial directorates of the Ministry of Health. EFT published books “Criminal Law and Environment”, “Human and Environment” and “Once Upon A Time” for preschool children. Published the book “Population Policy of Turkey”. EFT became the first NGO to emphasize new and clean energy resources by performing a comprehensive study and holding a conference in 1984. EFT, by organizing a competition and holding a conference in 1985, became the first environmental NGO, which invited economists, the business world and industrialists to discuss and consider the environment extensively. EFT, by translating and publishing in 1985 the book entitled “Climate and Mankind”, which called attention to climate change and global warming, brought up these most important subjects for the first time in Turkey. EFT held a discussion meeting on 10 October with the participation of distinguished lawyers concerning the “Implementation of the Environment Law”. EFT, by a study it published in 1987, focusing on Ankara as a pilot city, set forth the model by which the center of a metropolitan city could be heated by the use of entirely local resources and without causing pollution. Turkey, today being dependent on the import of natural gas, could still have taken into consideration the importance of domestic resources, in those days. EFT, with the experience gained by the preparation of the environmental profile, again in 1987, by publishing the inventory on biological diversity and in the years that followed the inventory on wetlands, demonstrated examples of the compilation of data. EFT, compiling all texts of law concerning the environment, published the Turkish Environmental Legislation and carried on this service in the following years. Presently, the Turkish Environmental Legislation is offered in the Web-site of the Foundation for the benefit of all the interested. With the support of the United Nations Development Program (UNDP), EFT commenced the research project on the “Comparison of EC and Turkish Environmental Legislation”. EFT compiled and published “Turkish Environmental Legislation” in a single volume. EFT became the first NGO to render a service of comparing the environmental legislations of the European Union and Turkey in 1989 and reiterated a similar study in 2001. EFT inviting the representatives of all coastal countries of the Mediterranean to Antalya in 1989, became the first Turkish non-governmental organization to host an international Mediterranean conference. EFT took steps that led to the establishment of the expression and concept of “sustainable development” in Turkey. 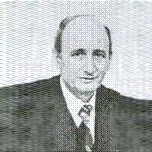 It organized the first conference on sustainable development on 29-30 November 1989, and introduced “Our Common Future”, which is the fundamental source of the concept of Sustainable Development, into Turkish and the printed 6500 copies of the book were depleted fast and the Foundation perpetuated its studies in this respect. EFT published books “The Wetlands of Turkey” and “Biological Diversity in Turkey” which were as beneficial as the “Environmental Profile of Turkey”. With the financial support from GTZ of the Federal German Government, EFT hosted the “Tourism and Environment Conference” on 3-5 October in Çeşme, İzmir. EFT, in cooperation with UNFPA, hosted the meeting “World Population Day” on 11 July. EFT organized a second international conference “International Sustainable Development Conference” on 6-8 November İn İstanbul. EFT published revised second edition of the “Turkish Environmental Legislation”. EFT, with the support from Friedrich Ebert Foundation held a conference “GAP (SAP) and Environment” in September. EFT, by focusing on a subject being important from the ecological perspective, organized a conference in 1993, on the subject of Management of Wetlands. EFT became the first institution to initiate cooperation with the Central Asian and Black Sea countries as regards environment and to sustain its extensive efforts for twelve years. Within the framework of the project, provided support for the establishment of NGOs in countries, for example such as Kyrgyzstan, Georgia, Bulgaria etc. EFT, in 1994, by a Training Program on Environmental Impact Assessment, gave a five-day training course it organized in Ankara to 80 technicians at certain levels. EFT translated and published a new book titled “Green Management”. In October, EFT organized the “2nd Central Asia and Black Sea Environmental NGOs Conference”. EFT organized “NGO’S Conference” on 28-29 March. In May, with the financial support from UNEP, EFT translated and published “Agenda for Change”. EFT organized the discussion meeting “GATT and Environment” on 29 November. EFT published 6th edition of “The Environmental Profile of Turkey”. At the same time, it was the hundredth book of EFT in 17 years. EFT published two children books, “ABC Environment” and “Our Ali” with the financial support from WWF. In April, the book entitled Our Global Neighbourhood, was published by The Commission on Global Governance and its copyright in Turkey was granted to EFT by the Oxford University Press. EFT organized a discussion meeting on Customs Union and Environment on 10 October 1996. EFT became the first institution to bring onto the agenda the relations between Population, Environment and Development at a Conference it organized in Ankara in 1997. EFT hosted one international and four national meetings between October and December: The Agricultural Policy of Turkey and Environment on 9-10 October; the Central Asia and Black Sea Conference in İstanbul on 14-16 October; the Impact of the GAP (SAP) on Ecology and Agriculture, in Diyarbakır on 30-31 October; the Population, Environment and Development on 13-14 November and the Implementation of Sustainable Development on 11-12 December. EFT organized regional seminars within the framework of the Central Asia and Black Sea Project; on 20-21 April in Samarkand and on 24 August in Chisinau in cooperation with ECOSAN. On 2 October, a discussion meeting on “Internal Migration and Environment” was held by EFT in Ankara. EFT organized the 6th conference of the “Central Asia and Black Sea Environmental NGOs” on 13-15 October, in İstanbul. At the meeting of OSCE held in Prague on 23-25 May on environment and security relations, Engin Ural, was a member of the Turkish Delegation. The significant occasion of 1999 was the summit held in İstanbul on 18-19 November. The Ministry of Foreign Affairs assigned Engin Ural again as the only NGO representative to the Turkish Delegation in this summit. This was a great honour for EFT. With the support of Swiss Agency for Development and Cooperation, EFT organized a meeting on Forestry Law on 3-4 June. Onn 23-24 September, EFT held a meeting on Implementation of Environmental Law and the presentations were published in the Proceedings Book. Again with the financial support from Switzerland, EFT organized a EIA Training Program in Diyarbakır between 4-7 October. EFT started for the preparation of “Encyclopaedic Environmental Dictionary” which no one had done but which was expected to raise much interest. With the financial support from Swiss Agency, EFT planned to hold seminars on environmental management in five provinces in Southeast Anatolia Region. First seminar was held in Şanlıurfa on 22-23 November and second in Diyarbakır on 24 November. EFT, by reiterating the Conference on Population, Environment and Development in Diyarbakır in 2001, made an assessment in this regard on the Southeastern Anatolia Project. This Conference qualified as a continuation of the research and education activities that the Foundation carried out in the Region since 1993. EFT, also in 2001, by doing necessary landscaping, arranged for a park to be established in Kaynaşlı, which had been badly affected by the earthquake of 1999, and in addition built a kindergarden and cleaning/hygienic facilities at the sides of the park. On 27 March EFT held a meeting on medicinal plants. A conference similar to the Population, Environment and Development Conference held to discuss the regional problems in Diyarbakır last November, took place in İzmit on 30-31 May. EFT organized Environmental Management Training Seminars attended by provincial administrators in Kayseri, Çankırı, Çorum, Kocaeli and Eskişehir in 2003; and in Samsun in 2004, with the participation of administrators from neighbouring provinces. EFT completed the comparative survey on the subjects of Organic Farming and Genetically Modified Organisms in the Legislation of the European Union and in that of Turkey, and published the results in 2003. EFT published in 2003 an inventory in connection with medicinal plants in Turkey, Bulgaria, Romania, Moldova and the Ukraine, having a similar cover of vegetation and this study became the first work on an international level in the subject of medicinal plants carried out by an NGO. EFT, by departing from the point that Turkey needed a strategy on the subject of medicinal plants, submitted the text it had prepared to related authorities in 2004. Central Black Sea Area Environmental Management Training Seminar was undertaken by EFT in Samsun on 7-8 October. EFT, by organizing technical discussion meetings about the Kyoto Protocol, the Johannesburg Summit and for the first time in Turkey, the Biosafety Agreement, published the results in three books on 2005. EFT put into realization a study surveying the situation of the potential and related work carried out in the subject of renewable energy sources in Turkey and published it in a book at the end of 2006. EFT put into application in 2007, a project with the aim of transferring to Turkey the experiences gained in the subject of environment during the process of accession and after becoming a member of the European Union by the neighbouring country of Greece and within this framework organized seminars in Ankara, Çorum, İstanbul, Kocaeli, İzmir and Uşak. The results of these seminars, which were attended by representatives of public agencies and members of the private sector, were published at the end of the year. EFT organized a technical discussion meeting that dwelled on how environmental education is given in Turkey and how it should be given and by publishing the results in a book at the end of 2007, brought the subject to the attention of the concerned. EFT, in continuation of the comparative work on legislation it had put into realization previously, completed the work on the study of Renewable Energy Legislation in Turkey and in the European Union and published the results in January 2008. EFT, in cooperation with İstanbul and Kocaeli Chambers of Industry, organized two discussion meetings on industry and carbon emissions in March and November 2008. EFT organized a discussion meeting on “Kyoto Protocol and Carbon Emissions” in cooperation with the Aegean Chamber of Industry in İzmir in 2009. The same year, public awareness meetings related to wind energy were organized in two sub-provinces of Osmaniye. EFT in 2010, a research project on the needs and expectations of small and medium size enterprises in Ankara was realized. EFT realized the project on “Determination of SME’s Environmental Needs and Expectations” with the support of Ankara Development Agency. EFT in 2012, conducted a project on nature tourism in Nallıhan, a sub-province of Ankara. On the other hand a discussion meeting was organized on various aspects of electrical vehicles. The outcomes of these projects were both loaded in the web-site and published as two new books. EFT conducted “Nallıhan Nature Walking Trails” and “Electrical Vehicles in Ankara in context of Innovation and Environment” projects with the support from Ankara Development Agency. EFT published a book in 2013 to evaluate the 30 years application of the Environment Law. EFT organized a meeting on 7 April in memory of Mustafa Engin Ural who has been the Secretary General of the Foundation between 1978-2015. EFT published second edition of “Environmental Education” which consists of the presentations and discussions at the Environmental Education in Turkey meeting held in 2007. EFT supported the VIII. National Child Culture Congress organized by Ankara University Centre for Research on Child Culture and Association for the Development of Early Childhood Education in Turkey. EFT published “Global Climate Change and its Impacts” in loving memory of Engin Ural. Environment Foundation of Turkey ensures that the information contained on this website is kept up to date. Environment Foundation of Turkey reserves the right to alter or to add information made available at any time without notice. The content of the Environment Foundation of Turkey’s website is protected by copyright. No information, data, text or images may be copied or used without prior permission of Environment Foundation of Turkey.